Great Britain is a very multicultural place. A lot of the food we eat originated in other areas of the globe, from pasta and pizza in Italy to Indian curries and samosas. But what about the foods from right here on the British Isles? It can be hard to think of common food items that are quintessentially British but there are definitely a few out there and this post is here to remind you of them. Not only is this a list of great British foods, but there’s also places included so that you know exactly where you can enjoy them to the full. Hopefully, you’ll give this a read and find yourself craving some of the classic British food traditions that we know, love and take a little bit for granted. Be sure to leave a comment if you think of any more that I’ve missed! Starting from the south, let’s talk about Cornish pasties. 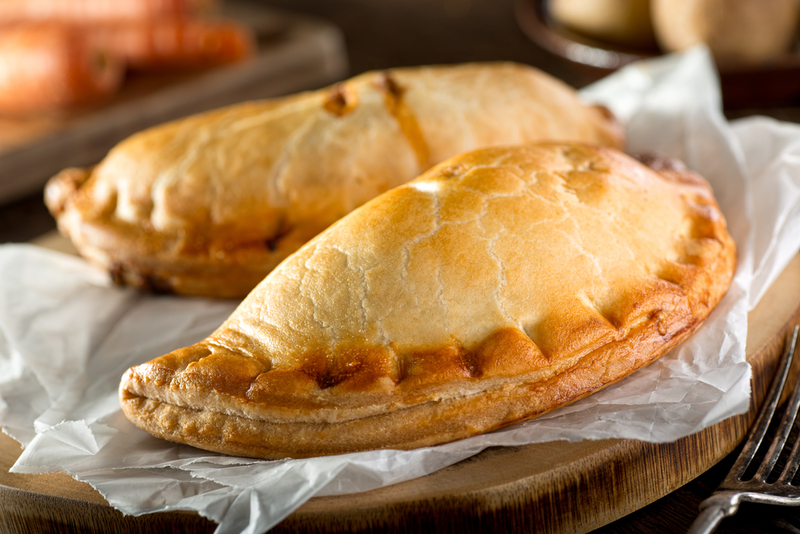 There are thousands of different ways of making a Cornish pasty, along with countless different options for fillings and ingredients but the traditional recipe features cubed beef, potato, swede and onion. Many citizens of Cornwall are extremely proud of this local delicacy and as with most people and the foods that are closest to them, they can get protective over the ‘right’ way to make one! Saying that, as with all cooking, there is always room for creative license and innovation so don’t hesitate to try out new things and create a Cornish-style pasty that suits your tastes. Almost every city in Cornwall will offer Cornish pasties, so if you do choose to travel there, make sure to try one for yourself! This is definitely the British food tradition that leaps to mind first. We’ve always been lovers of deep-fried foods and fish and chips is the culmination of that love. Almost every British restaurant and definitely every city either serves fish and chips as a dish or has a dedicated fish and chip shop around the corner, so no matter where you travel you should be able to find some. Traditionally, fish and chips is made using cod, fried in beef dripping or lard, though over recent years the frying method and the available fish has changed. Nowadays, most fish and chip shops use vegetable oils to fry the fish, ensuring that the dish is suitable for vegetarians, vegans and people of certain religious faiths, whilst plenty of different fish are used including haddock and plaice. The only problem is where do you go to get the best fish and chips? Fortunately, there is an answer! According to the 2019 Fish and Chip Awards, Exmouth in Devon has the best fish and chip shop in the UK. So now you know, travel to Exmouth and you can enjoy the best fish and chips out there! Moving away from food, let’s talk about drinks. Afternoon tea is one of those British traditions that seems like it’s been going on forever, but it was actually popularised in 1840 by the seventh Duchess of Bedford. The Duchess would get hungry around four o’clock and, knowing that the evening meal was due at eight o’clock, would ask for a tray of tea, bread and butter to keep her going. 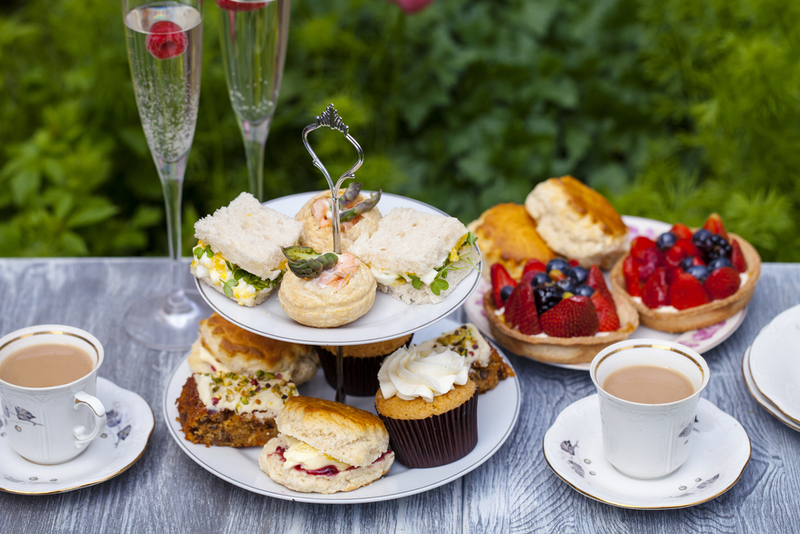 Nowadays, afternoon tea has taken over the British stereotype and for a reason! We love drinking tea, whether it’s in the afternoon or not, which has made afternoon tea a booming business. Apparently, afternoon tea in Nottingham City Centre is meant to be incredible, partly due to that various tea offerings and partly because of the beautiful scenery in the area. Nottingham’s afternoon tea speciality has made the city a brilliant stop for those visiting Britain and natives alike. If you happen to find yourself looking travel for a weekend away and you’re a big fan of tea, consider Nottingham as a destination and you probably won’t regret it. This is far from everything that Britain has to offer when it comes to food and drink, but these are definitely some of the biggest and most well-known. 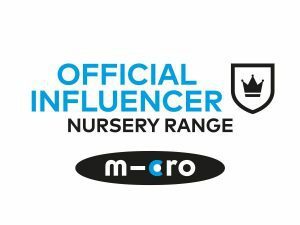 With any luck, this post will have inspired you to go out and enjoy some the less exotic but equally tasty food and drink experiences we have to offer!